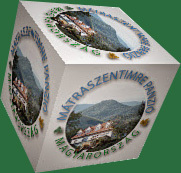 Mátraszentimre Panzió offers pet-friendly accommodation in Mátraszentimre. The guest house has a sun terrace and views of the mountain, and guests can enjoy a meal at the restaurant. Free private parking is available on site. All rooms include a TV with satellite channels. Rooms have a private bathroom. Mátraszentimre Panzió features free WiFi throughout the property. Egerszalók is 33 km from Mátraszentimre Panzió, while Eger is 37 km from the property. The nearest airport is Budapest Liszt Ferenc Airport, 70 km from the property.